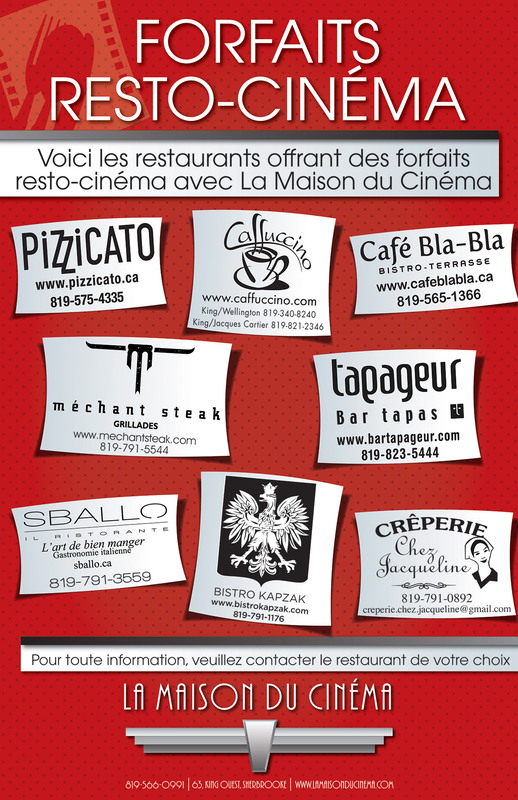 La Maison du Cinéma is located downtown Sherbrooke, near the best restaurants, breweries, boutiques and cafes in town ! An ideal destination for a wonderful outing; Dinner-movie-dessert. Lunch-movie-museum. A show/movie double program. The combinations are endless! *The card owner can freely use the quantity of entries available. 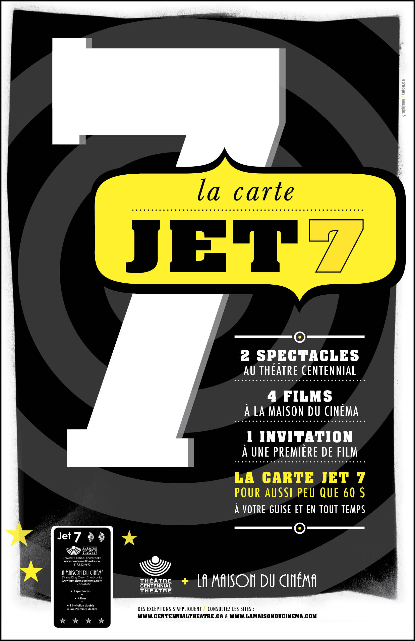 Comes to $7.00 per movie any time. *An admission at $6.50 for anyone 25 years old and under. No expiry date. Valid anytime for any regular movie.